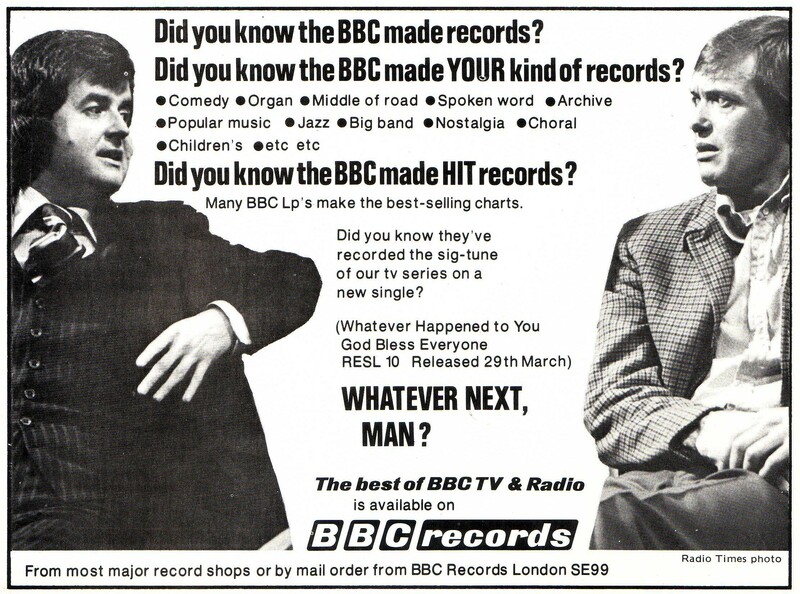 Anita Harris / BBC Records / Cliff Richard / Clodagh Rodgers / Engelbert Humperdinck / Evan Senior / Eve Graham / Frankie Vaughan / Good Listening / James Last / John Keating / Les Humphries / Living with Stereo / London Symphony Orchestra / Matt Monro / Myleene Klass / New Seekers / Olivia Newton-John / Peter Jones / Peter Skellern / Record Mirror / Roger Whittaker / Sacha Distel / Scott Walker / Slim Whitman / Tom Jones / Tony Blackburn / Tony Christie / Tony Hatch / Tony James / Valentino / Vince Hill / Whatever Happened to the Likely Lads? 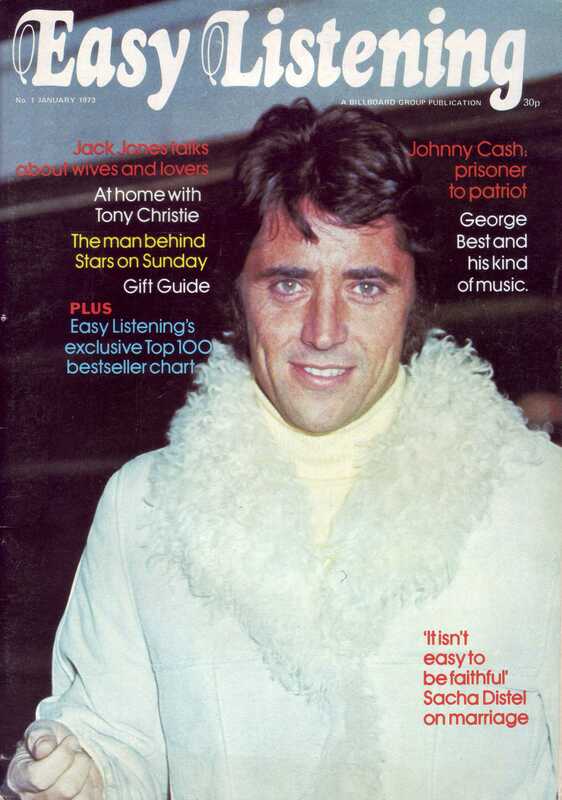 Last month, I looked at a fairly uninspiring 1970 biography of Tom Jones, and by way of compensation, I promised this month to offer something of more lasting interest from its author Peter Jones. Easy Listening is very much about people as well as music and we’ll be presenting the characters, the inspiration, the human stories behind the music that means so much to so many people. What this means over the lifetime of the magazine is a focus on music where it meets the domestic: there’s a regular series of features entitled ‘At Home with. . .’ showing the likes of Peter Skellern and Frankie Vaughan in their respective retreats, a ‘Focus on Fashion’ for the ladies and even a selection of recipes from the stars. 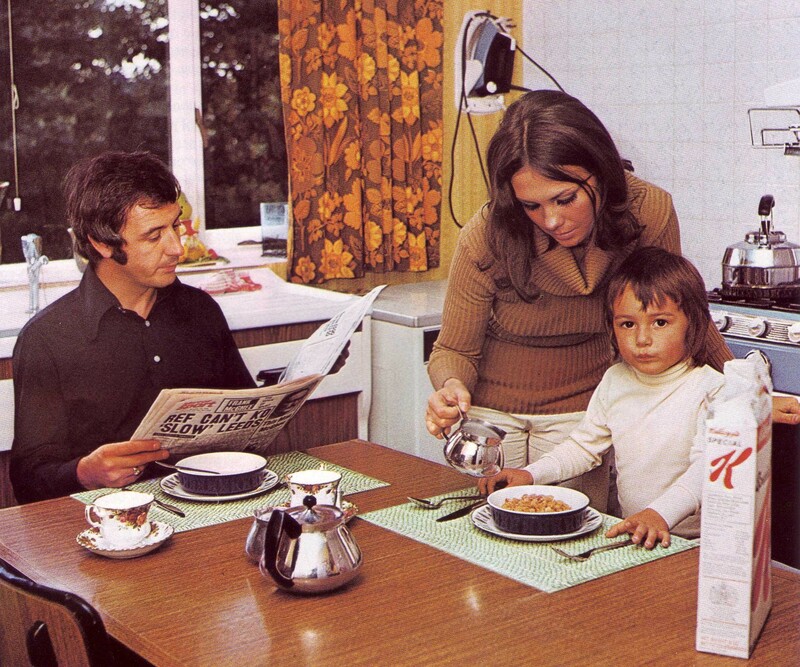 All of this makes it a surprising forerunner to magazines like Hello!, where, if we’re very lucky indeed, Myleene Klass may just be willing to share with us the name of the man who wallpapered her back bedroom. 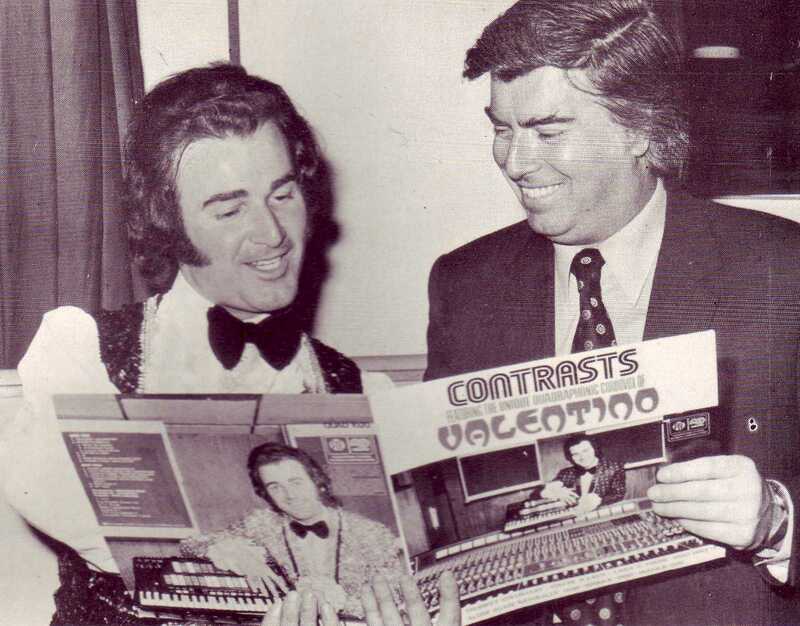 Our host: Peter Jones (right) with King of the Cordovox, Valentino. Given the emphasis in Easy Listening on music in the home, the listening environment is covered in depth through detailed articles on stereo equipment. From issue 4 onwards the magazine subsumed the brilliantly-named Living with Stereo, and this was followed by another magazine, Good Listening, coming into the fold from issue 7. A lively issue of the moment is the increasing popularity of music on audio and 8-track tape. 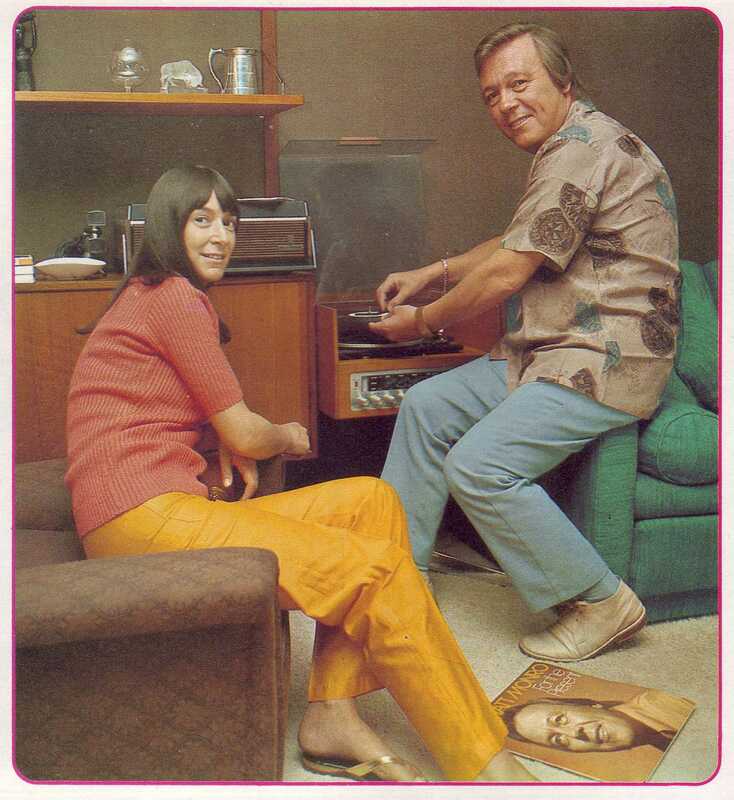 In issue 1, Tony Blackburn and Clodagh Rodgers tell us all about their fondness for music on cassette, with each of them owning cars equipped with tape players. Blackburn prefers the audio tape to the 8-track after a few bad experiences with the latter, while Rodgers reaffirmed her place in my affections with her belief that tapes would never completely replace vinyl because, she tells us, records “look nicer”. 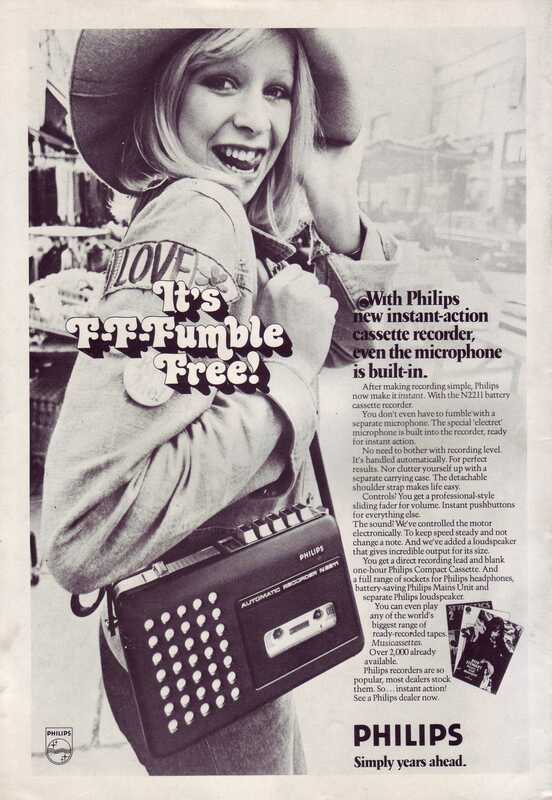 “After making recording simple, Philips now make it instant. . .” Clodagh Rodgers not pictured. Easy Listening exclusive number 1. 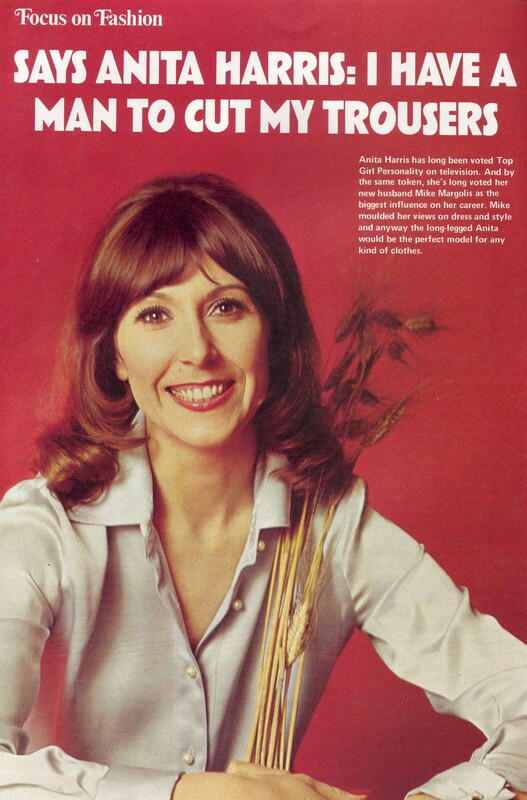 The world of Easy Listening is, as you would expect, an easy-going one, where a lifestyle choice means weighing up the merits of Vince Hill’s recipe for chicken kiev (issue 4) over New Seeker Eve Graham’s meat and potato cake (issue 1). 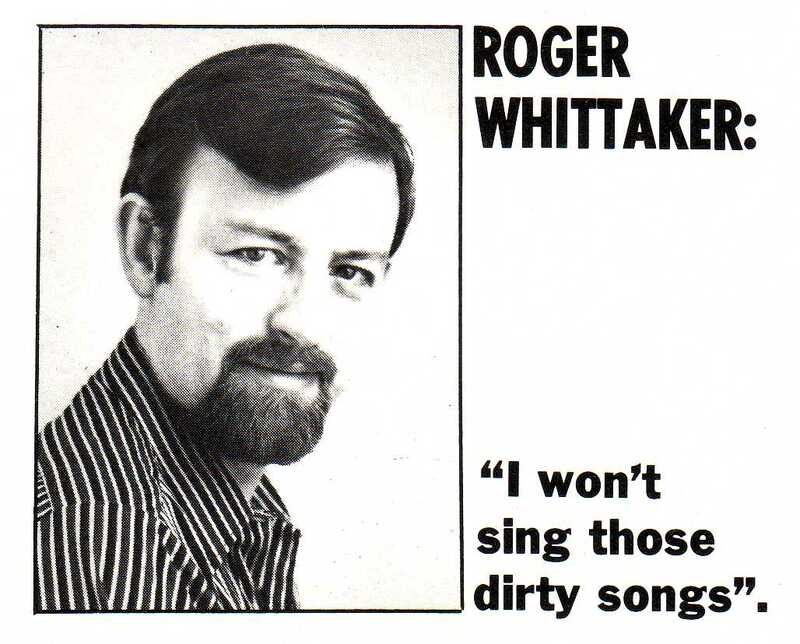 This relaxed approach extends to the coverage of the music itself, which is tolerant to the point of being tepid; about the closest the (unnamed) reviewers come to criticism is a description of Slim Whitman’s voice as “nasally intense”. The one notable exception to this is a spat over an album by John Keating and the London Symphony Orchestra called 250 Years of Film Music. A critic, Evan Senior, devotes an entire page in issue 4 to slagging off the enterprise, which comprises 12 arrangements by Keating of excerpts from classical pieces. In issue 7, Keating fights back, and is allowed two-and-half pages to state his case. It’s a welcome exchange of opinion in an otherwise sedate critical atmosphere, and probably did Keating’s sales no harm at all. What the exchange couldn’t do, though, was rescue the magazine, which announced its closure in issue 10 as a result of poor sales. 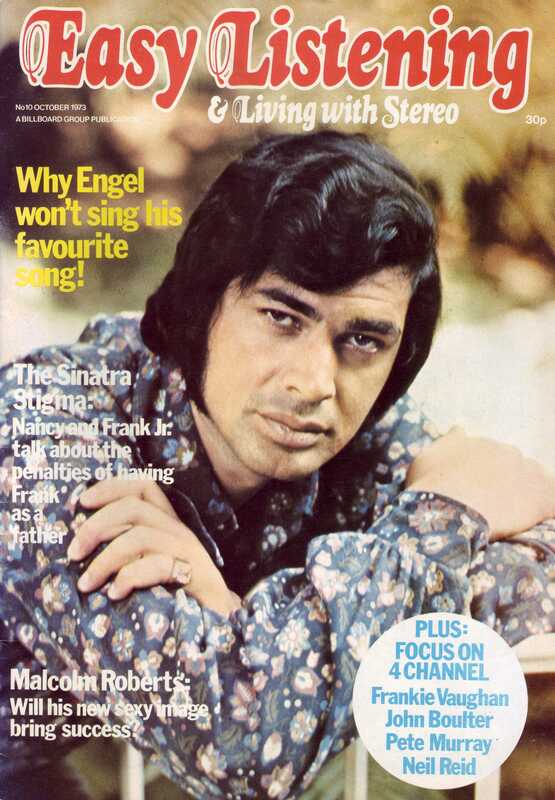 Engelbert Humperdinck is pictured on the final cover looking extremely gloomy, having apparently dyed his hair an extra deep shade of blue-black to mourn the magazine’s passing. And actually, it is a shame. 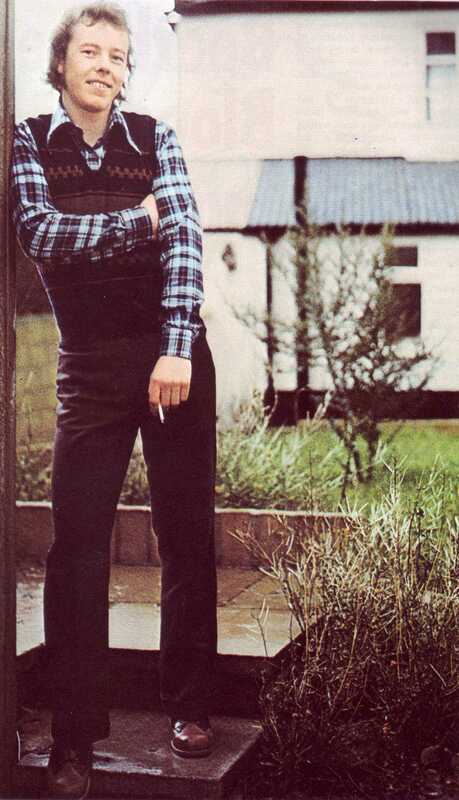 I would have loved to track down a few more copies of it, and spotting in issue 7 in an answer to a reader’s letter that an interview with Scott Walker was planned only increases my sadness. But as a visual record of the “good, listenable music” of 1973 beloved by thousands, it’s an obscure delight. 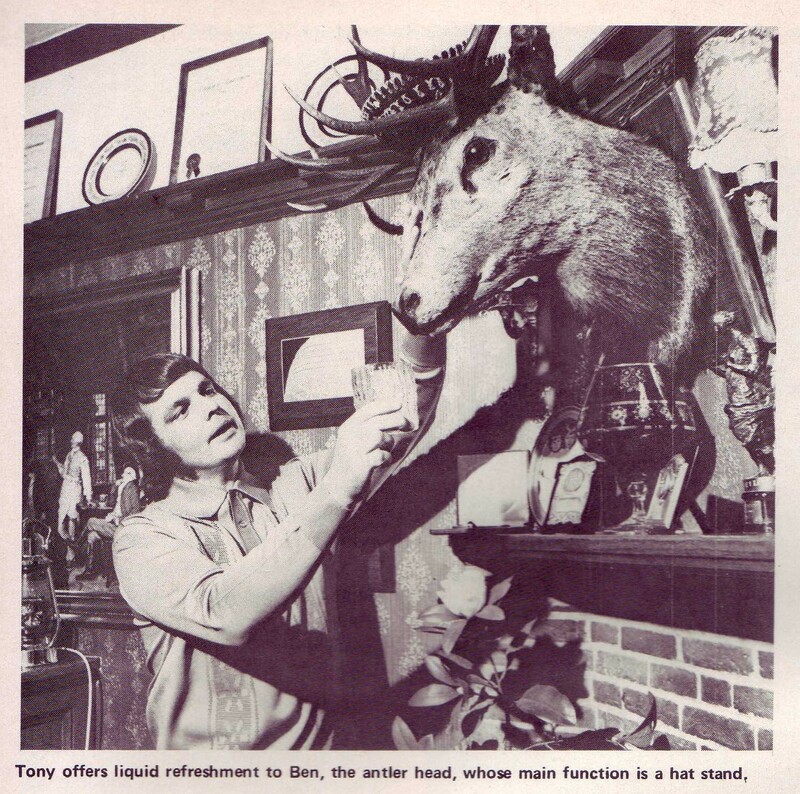 At home with Tony, Sue and Sean Christie. . .
. . .with Tony Hatch and friend. . .
. . .with Mickie and Matt Monro. 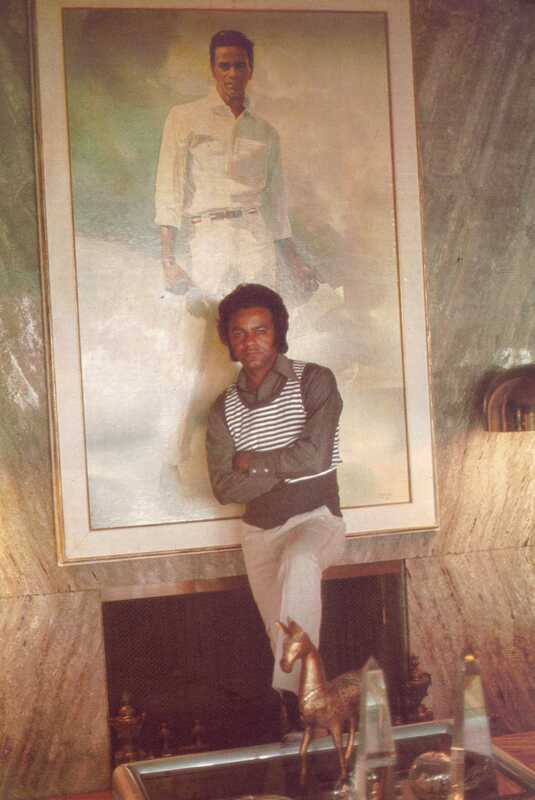 . .
. . .with Johnny Mathis and Johnny Mathis. . .
. . .and with Peter Skellern. Down the pub with Bob and Terry. In the kitchen with a New Seeker. Easy Listening exclusive number 2. Hands on: Les Humphries and Singers. 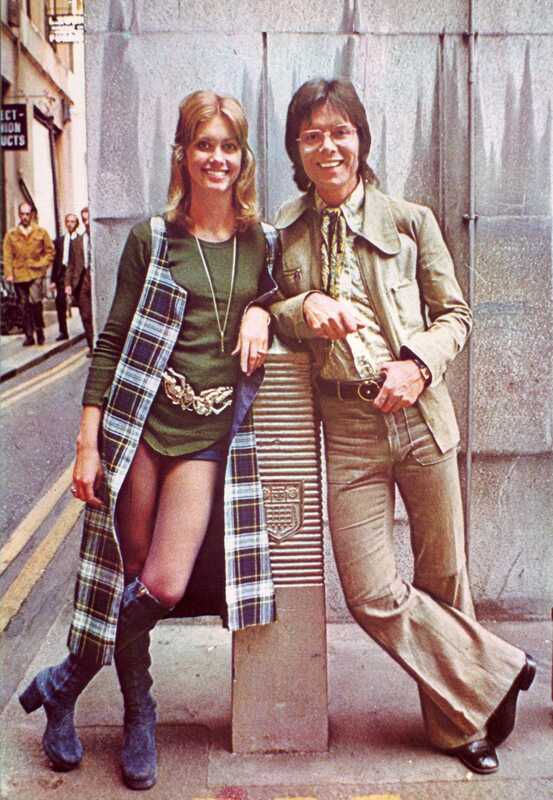 Forever young: Olivia Newton-John and Cliff Richard. As the Gothic script subtly suggests, James Last is indeed German. Farewell! Easy Listening magazine bows out.